One World Rug Care provides a full line of professional, specialized rug care services to help you keep your treasured rugs looking their very best for generations to come. Please let us know if you have any questions about the services listed below. We invite you to review our full line of services or use the buttons below to jump to a specific topic. In addition to assessing the overall condition of each rug during the pre-inspection examination, we are checking every rug for any structural damage, pet stains, and signs of moth damage. We also test for dye stability, especially if we spot evidence of any water damage, pet urine, or if we see any visible dye bleed. This crucial step allows us to do two important things: It opens up an informative dialogue regarding what each individual rug needs, and it sets us up for success on the wash floor! Prior to cleaning, we spend a lot of time focusing on removing the gritty, particulate soils and pet hairs that regular vacuuming will often leave behind. Because every rug is constructed differently, our dry soil removal methods are designed to match the needs of each individual rug. Even if it’s not time to have your rugs cleaned yet, we recommend this step as an annual service to help the overall health of the rugs in your home, and to extend the life of your rugs. The Rug Badger is just one of the tools that we use to remove dust and dry soil from our clients’ rugs. 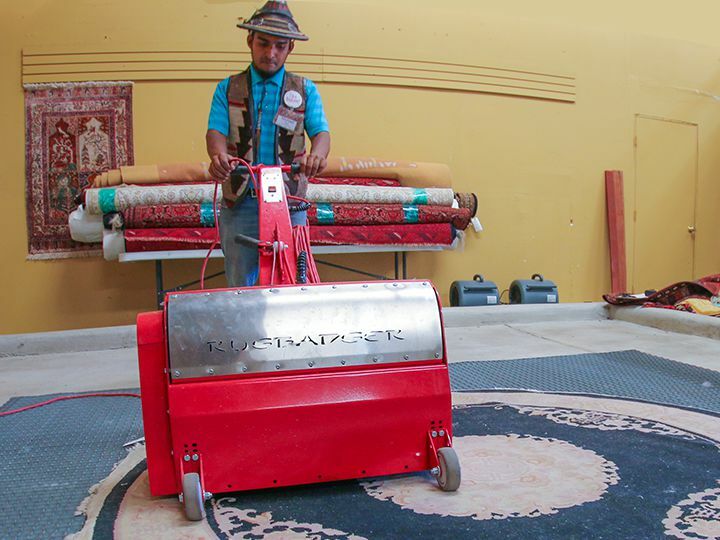 Specifically designed for area rugs, the Rug Badger uses the power of over 40,000 harmonic vibrations/min, the to separate heavy sediments and dirt from area rugs. One World Rug Care refuses to use automated wash systems or huge tub washing equipment. While those large machines are cool to see in action, it is our deep belief that they often cause more harm than good. They expose your rugs to harsh chemicals that are used to reduce contaminants, pet urine, and loose dyes that exist in the water, and ignore the real science and art behind rug washing. We never want to be in a position where we have to justify the purchase price of such huge equipment by treating your rugs in an unsafe manner. We are able to eliminate all of those risks by taking the time to care for your rugs the right way – one at a time with clean, cool water, and green solutions that are safe for your rugs, your home, and the environment. Because we clean with a flexible and customized “best method practice” for every rug, the procedures we use fit the unique nature and condition of each rug instead of trying to make the needs of your rug fit into an automated wash system. In fact, we utilize seven of the safest cleaning methods in the industry to ensure that each individual rug is treated properly. Rugs with pet odors can become a real source of embarrassment. Bacteria from occasional pet accidents and the oily residues from their fur can not be vacuumed away. When our suggested odor removal protocols are followed, we will fully guarantee the pet odor and pet urine odor removal. Exclusions to this guarantee include most tufted rugs and rugs that have been deemed so badly urine damaged that the structural integrity of the rug has been compromised. One World Rug Care carries the best eco-friendly rug padding available! It’s made to last longer than typical rug pads, is made from recycled materials, and has been named a Green Label product by the Carpet & Rug Institute. If your current rug pads are 3-5 years old or more, it’s time to replace them with our eco-friendly rug pad. One World Rug Care can apply a water-based fiber protector to the fibers of your rug which will do an excellent job of allowing a spill to remain on the surface of the fibers for a limited window of time (10-15 minutes) to allow for spill or spot removal. The added benefit of this protector is enhanced soil removal during vacuuming. Our fiber protector should be re-applied to your rugs after each cleaning, or after your rug has endured a year or two of foot traffic. Our professional rug wrapping service has you covered! We provide several wrapping options for long term storage, short term storage, transport, or shipping. Just let us know what your unique situation is, and we’ll suggest a solution that works. Our environmentally friendly moth treatment uses a blend of three different essential oils, UV light from the sun, and a deep freeze treatment. Once your rugs have been treated for moths and washed, our repair team will inspect for any moth damage and will contact you with a repair estimate. Before your rugs are returned to you, we will apply a preventative moth treatment. 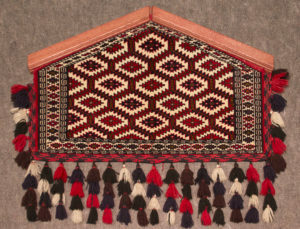 Some rugs were never meant to be used on the floor, and older rugs may now be retired to a safe space on the wall. 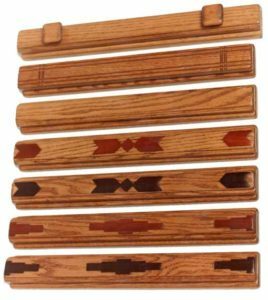 Our custom-made hanging racks preserve the unique shape of your rug, provide uniform pressure across the entire textile to prevent weight stress, and our service includes professional mounting on your wall. 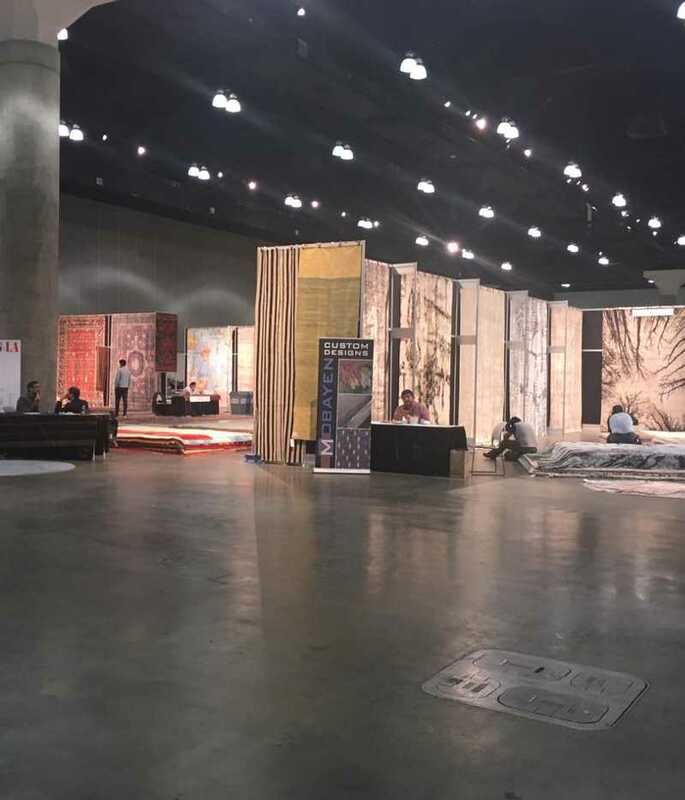 When you appraise your rugs with One World Rug Care, you can be sure to receive a complete appraisal portfolio which includes: photo documentation, underwritten rug identification, and an appraisal certification. We offer volume discounts for multiple rugs. Our verbal appraisals are always free. Our skilled repair artisans are here to discuss repairing your vacuum cleaner damage, excessive wear, or damage caused by a pet with you. 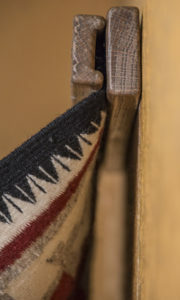 We handle electrical cord openings, re-sizing & re-modeling, damaged corners, loose side cords, filling in small holes, inserting patches, and even large restorative weaving projects on all types of area rugs, including Navajo, hand-knotted Oriental rugs, flatweaves, etc. Hand repairs being done on a flatweave side cord. We use authentic wool yarns from around the world. Rugs with dye damage caused by pet urine or water damage need to be specially treated with color removers and reducing agents to achieve even slight improvement in the affected area. This type of color correction is more an “art” than a “science” and the results cannot be guaranteed We are able to provide a free estimate once we have seen the damage. Because rug fringes lay out flat, they are susceptible to wear and erosion. Fringes are also often cleaned improperly with bleach or oxidizing treatments in an attempt to whiten them. One World Rug Care will never use harsh chemicals on your fringes! 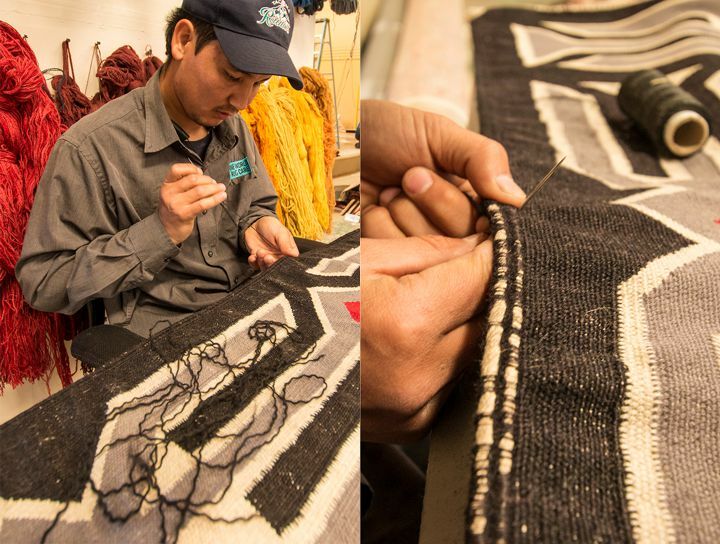 Our skilled repair team can re-weave or replace damaged fringe, which will protect the ends of your rugs and keep them looking newer longer. Whether it’s a custom-cut broadloom remnant, or a machine-made Karastan oriental in need of repair, our binding and serging equipment is portable, so we are able to complete your edge repairs either in our own workshop or at your home or business. With a $100.00 minimum service, our customers enjoy free pick up & delivery in Albuquerque, Santa Fe, Taos, Corrales, Rio Rancho, Placitas, Farmington, Durango, CO, and Pagosa Springs, CO. Extra charges may apply for moving large furniture pieces. If you would like to come visit us in person, customers who bring in their own rugs and pick them up when they are ready receive a 10% discount on their cleaning. Military families receive a 10% cleaning discount, and affiliate organization discounts are also available – please inquire! Rugs cleaned with us must be picked up or returned within 10 days from the date of notification of completion of service. Anything left longer than 10 days will incur a $10.00 per week storage fee unless storage arrangements have been made with us in advance. All rugs placed into storage at One World Rug Care will first need to be washed, treated with a moth repellant, and properly wrapped. Bring any used or unwanted area rug of any size that is in good, useable condition. One World Rug Care will professionally clean the rug, make any minor necessary repairs, and then donate it to the charity of your choice. Let’s work together to keep as many rugs as possible out of the landfills and help charities offer another great way to raise funds for their causes. Our showroom inventory includes an amazingly diverse, authentic collection of handmade contemporary, vintage, and antique luxury, nomadic, and tribal area rugs from all around the world, and our home décor pieces are sourced from seven different Fairtrade organizations. Our showroom must be visited in person to truly experience our generations of knowledge and love regarding the art of rugs! Come visit us soon for the most authentic old-world rug store experience that New Mexico has to offer! We 100% stand behind any and all purchases made with us. You will never find unreasonable markups with unjustifiable markdowns. We are always willing to educate our clients about what they are buying and how to care for it. Any rug purchase with us includes a 2-year service maintenance agreement. One World Rug Care cleaned 4 rugs for us, including one that needed some repair. The rugs are beautiful and look better than ever after One World work. It was a pleasure to have Salhal, Maurice and their colleagues in our home. The work was done on time, including pick up and delivery. Exceptionally high quality at a very reasonable price. We enthusiastically recommend them for whatever rug care is needed. 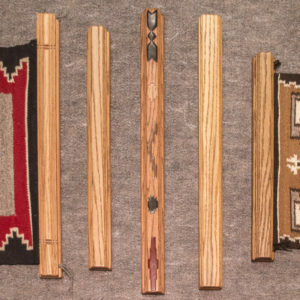 Michael is amazingly knowledgeable about the history and art of weaving rugs. His knowledge goes well beyond local rug manufacturing. We consulted him about cleaning some of the Persian rugs we have, and was surprised he was able to recognize the area in Iran that rugs were woven; he talked in details about the designs of those regions. 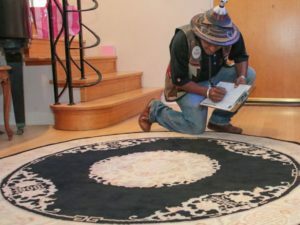 He has a passion for rugs, its art, design, and historical evolution; he does not see rugs as a mere profession. We were pleased to find him for evaluation and servicing our rugs. Michael is as knowledgeable, skilled, and professional as they come. He uses old world techniques that preserve the authenticity and composition of your rug. This is hands down THE BEST company around for any antique, heirloom, or just plain nice rugs that you own.